NEW YORK – Head to the most northern point of Manhattan island and there you’ll find one of New York’s best-kept secrets, Fort Tryon Park. 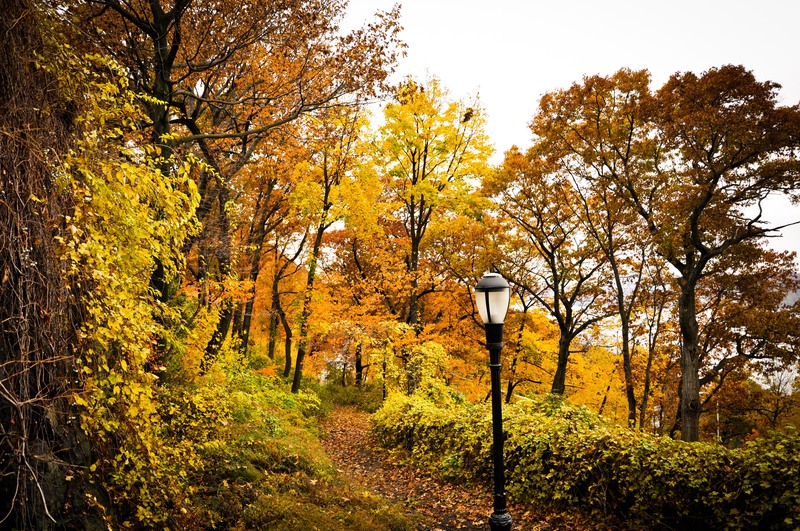 A smaller version of Central Park (about one-tenth the size), Fort Tryon offers all the perks of its famous uptown sib – quaint, tree-lined paths, lovely gardens, a rich legacy, and top-notch artwork – but in a more peaceful and, to many, much lovelier setting. Established in the early 1900s by John D. Rockefeller, who gifted the park to the city of New York, Fort Tryon is where I would always go to escape the madness of the city. There is nothing more relaxing to me than taking a leisurely stroll through Fort Tryon. The park’s gorgeous turn of the century landscape design by Frederick Olmsted, Jr. (whose father did Central Park), gives it a real old New York vibe, which I love. I can spend hours taking in all its the different colors/textures, whether it’s wandering amongst the lovely Heather Gardens (best in early summer when the flowers bloom) and the Alpine-inspired stone bridges and grottos; or just pondering the panoramic vistas of the Hudson River, which Rockefeller had the foresight to preserve by purchasing the land across the river on the New Jersey side. 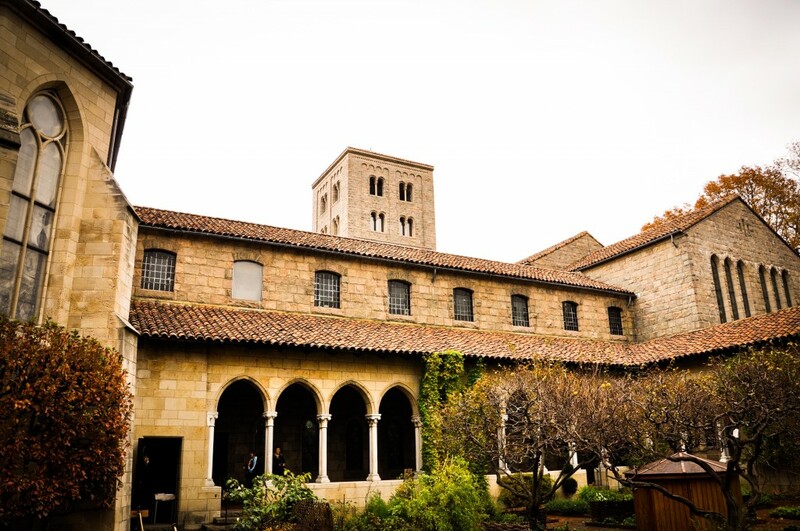 Beyond the park itself, the other thing I love about Fort Tryon is The Cloisters, a branch of the Metropolitan Museum of Art devoted to medieval art and architecture located at the northern tip of the park. As with anything Met or Met-associated, The Cloisters is pretty incredible. While the structure itself – made from actual medieval buildings from Europe that the Met acquired, then dismantled and eventually reassembled at Fort Tryon – is quite a sight-to-behold and worth the trek alone; it’s The Cloisters’ collection of medieval artwork (some 3000+ pieces), that most impresses. 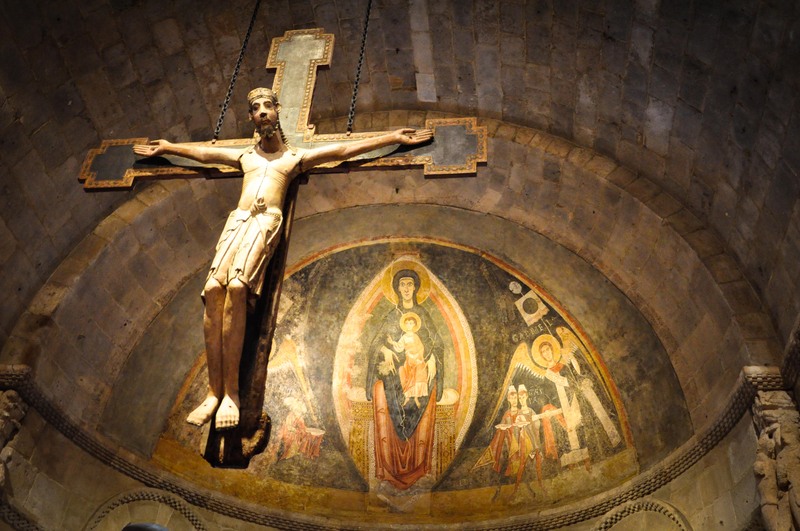 One of my favorite pieces is the majestic Fuentiduena Chapel from Spain, with its beautiful Christ in Majesty fresco. I also like the tomb effigy of Jean d’Alluye (seems quite heroic to me); and certainly, the mysterious Unicorn Tapestries (the most famous items at The Cloisters) are not to be missed. 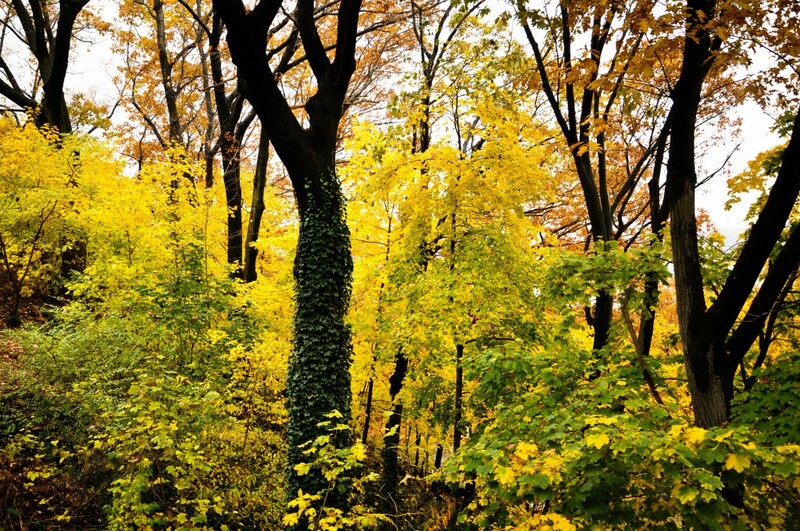 You can easily spend the entire afternoon at Fort Tryon Park. Go for the nature, the art or just a stroll. Truly, a bit of beauty and tranquility amongst the urban chaos that is Manhattan. Best time to go? Weekday, in late autumn when crowds are few and the fall colors are at their peak. The little thing(s) that makes Fort Tryon worth a visit? The turn of the century landscape design, the fiery autumn colors, the stunning views of the Hudson, and the Fuentiduena Chapel at The Cloisters. Where is it? 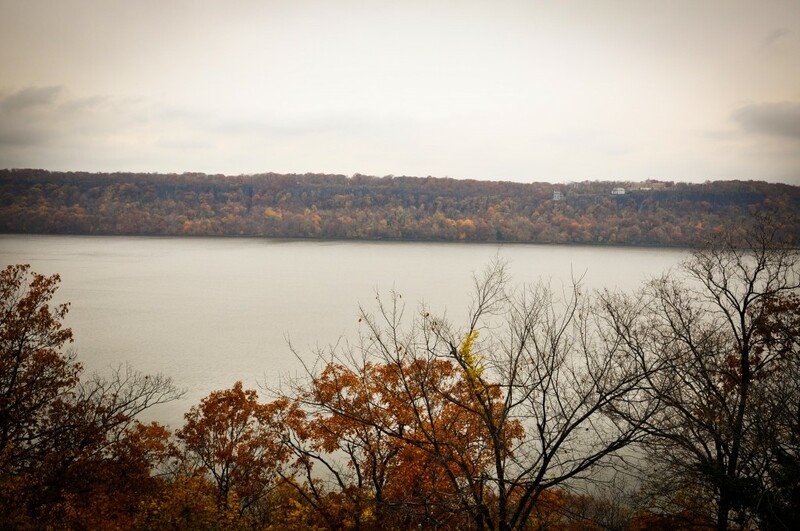 Fort Tryon Park is located in the Washington Heights district at the top of Manhattan island. Take the A train (8th Avenue Express) to the 190th Street station. The entrance to the park is a five-minute walk from the station. Note: The Cloisters is closed on Mondays.